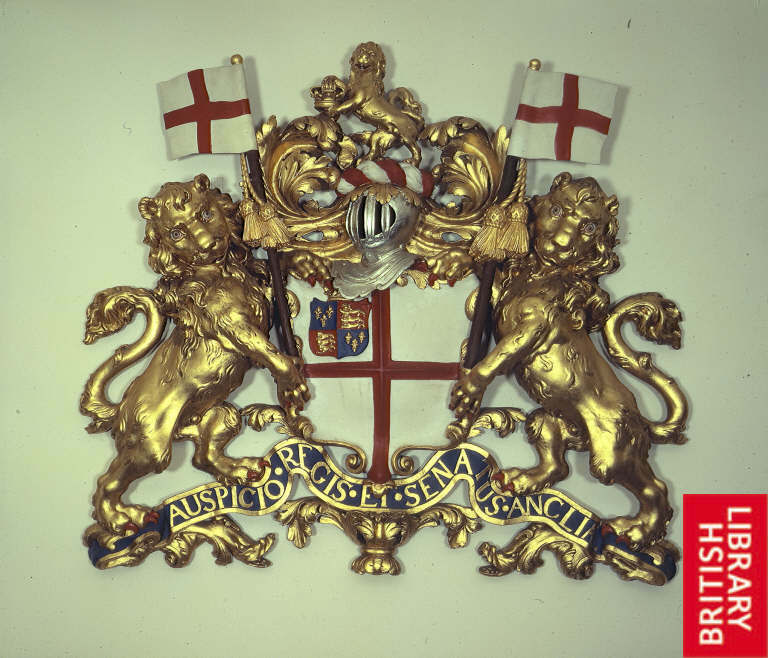 "The Armorial Bearings of the Company of Merchants of London Trading into the East Indies Granted by Garter and Clarenceux Kings of Arms in 1600 and as Borne and Used until 1709." "ENGLAND, Charles I (1625-1649), British Colonization, 1670, Silver Medal, 47mm, by John Roettier, conjoined busts of Charles II and Catherine of Braganza (who brought Bombay in her dowry) right, he cuirassed, her draped, CAROLVS ET CATHARINA REX ET REGINA, rev., a globe, showing South America, the Eastern Seaboard of North America, Africa, Western Eurasia, India and the Southern Continent (Australia and Antarctica as one landmass), DIFFVSVS IN ORBE BRITANNVS 1670 (The Briton spread over the world)." 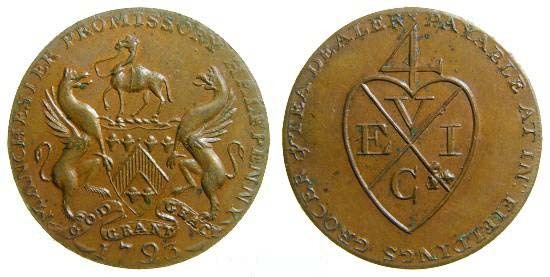 "Britain: Lancashire, Manchester Halfpenny Condor Token, 1793, East India Company. Town arms of Manchester. (Note Griffins and little camel, top). "Manchester Promissory Halfpenny", "1793" in exergue / Bale mark of the East India Company. 'Payable At In. Fieldings Grocer And Tea Dealer'." 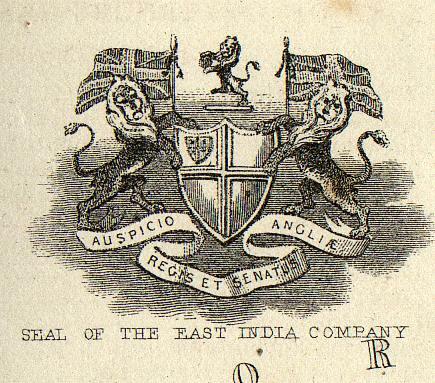 "From an 1860 Map of Northern India Including the Presidency Bengal. Map drawn and engraved by J. Rapkin. Published by the London Printing and Publishing Co. (John Tallis). Illustrations by A. H. Wray, engraved by J. H. Kernot."